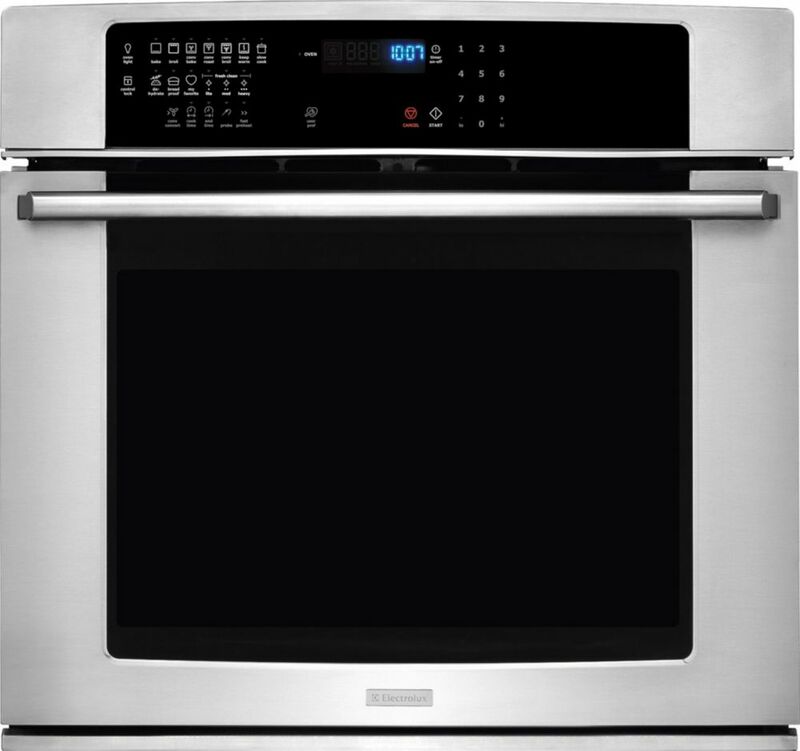 30" Single Wall Oven, IQ-Touch Controls, 4.8 cu.ft, Self Clean, True Hidden Bake, True Convection w/2500 watt Element & Variable Speed Fan, Convection Conversion, 3 Oven Racks (1 Luxury Glide), Fresh Clean & 1 My Favourites, Luxury Design Ramp Up Lighting, 2000 watt Bake Element, 8 Pass 4000 watt Broil Element. Electrolux Laundry introduces a dryer designed to keep clothes looking their best. The 8.0 cu. ft. Front Load Electric Dryer boasts special features to keep you favorite garments well cared for. Options include 5 dry cycles for all fabric types, LED Display, reversible door and ENERGY STAR Certification. Electrolux 30 Inch Electric Single Wall Oven With Iq-Touch Controls 30" Single Wall Oven, IQ-Touch Controls, 4.8 cu.ft, Self Clean, True Hidden Bake, True Convection w/2500 watt Element & Variable Speed Fan, Convection Conversion, 3 Oven Racks (1 Luxury Glide), Fresh Clean & 1 My Favourites, Luxury Design Ramp Up Lighting, 2000 watt Bake Element, 8 Pass 4000 watt Broil Element.